While it is always a good idea to ask your surgeon a few questions before undergoing a CoolSculpting procedure, it’s also crucial that you check and ask yourself some questions. Some of the questions you can ask yourself is whether or not you’re a good candidate for the treatment, or if you have any reasonable expectations for its results. Other than these queries, we listed down a few more questions that will certainly help you understand more about the procedure, as well as your need for it. 1. Will undergoing a CoolSculpting procedure be beneficial for me? CoolSculpting doesn’t work the same way on every patient, which is why it’s crucial that you determine if undergoing the said procedure will be beneficial for you. The treatment works best for individuals with stubborn fat that won’t go away, regardless of how much they exercise or eat healthfully. It’s also important to know that CoolSculpting Singapore is not advisable for overweight patients, and should not be used as a weight loss plan alternative. An ideal candidate for the treatment is someone who is near or at his or her desired weight. Each good zeltiq coolsculpting session in Singapore typically removes up to 25 percent of fat from the area being treated. 2. Is this is an ideal treatment for my fat problem? 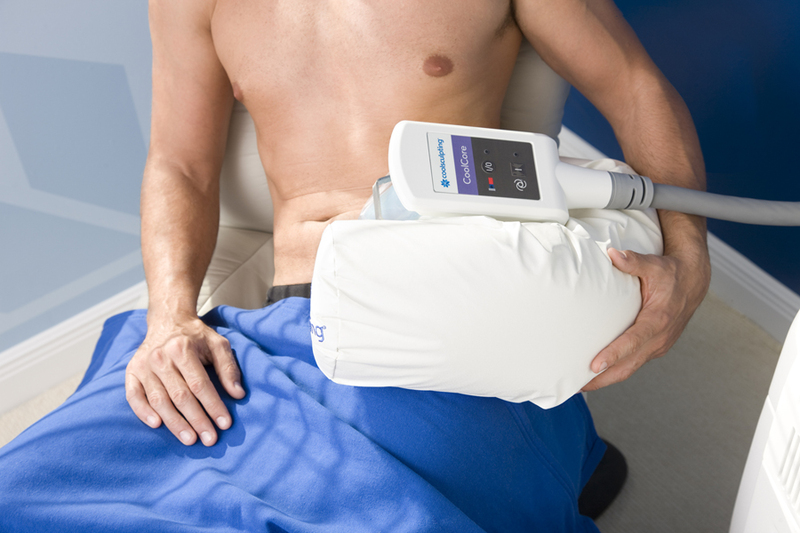 CoolSculpting is a procedure used to freeze and remove fat from specific areas of the body. It is typically performed in the abdominal area, on the thighs, on the back, on the love handles and on male breasts. It could also help eliminate a double chin with the help of a Cool Mini applicator. So if your fat problem is located in the said areas, then you’re most likely an ideal candidate to undergo the treatment. 3. Is CoolSculpting a more suitable option for me than liposuction? Although it seems like an ideal option, CoolSculpting is not your only choice when it comes to eliminating your fat problem. 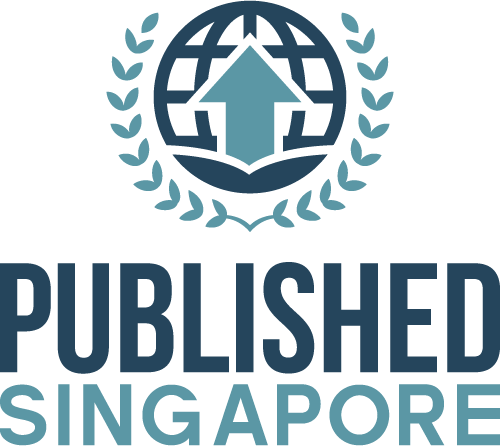 Most patients in Singapore choose between non-surgical CoolSculpting and surgical liposuction – and while both procedures have similar goals, the process and methods used for each treatment are considerably different. The amount of fat you want to remove from your body could also influence whether CoolSculpting or liposuction is right for you. The more amount of fat that needs to be removed, the more likely that liposuction is the better choice for you, because unlike in CoolSculpting, liposuction allows the surgeon to remove a considerable amount of fat (almost up to 20 pounds of fat). 4. Will undergoing CoolSculpting affect my daily activities? Knowing what happens during and after your CoolSculpting Singapore procedure will also help you decide whether or not it’s right treatment option for you. It often takes an hour to treat each problem area, but some areas needs to be treated for two hours, either simultaneously or spaced a few days apart. Although the procedure is relatively comfortable, you might experience some stinging or tingling sensation in the first few minutes of the treatment. But once the area starts to numb, you will no longer feel anything in the entire duration of the procedure. You will also likely feel a bit numb or sore a few days after the treatment, but you can perform your regular activities right after getting the CoolSculpting procedure. 5. Do I have enough time to go through the CoolSculpting treatment? Timing is crucial when it comes to undergoing CoolSculpting Singapore, which is why it’s important to ask yourself if you have enough time to spend getting the treatment and waiting for its results. Although the treatment typically takes an hour to finish, it will take more time for its results to be visible. In some cases, it will take as long as 16 weeks before the final results show; but it will entirely depend on how long it takes for your body to fully flush away all the destroyed fat cells. So if you want to get rid of your saddle bags and love handles a week before your big event in Singapore, then CoolSculpting might not be an ideal option for you. If your goal is to slim down for an event that’s months away, however, then this fat-eliminating procedure is perfect for you. 6. Will I be able to maintain the results of the procedure? One the best things about CoolSculpting is that the fat it destroyed will be gone for good. However, undergoing the said procedure doesn’t mean that you could already skip working out and eat anything that you want. Health experts in Singapore explained that any remaining fat cell in your body can still grow if you don’t commit to working out regularly or eating a healthy diet. So before committing to the cost of undergoing a CoolSculpting treatment, ask yourself first if you are prepared to make other little changes to keep your slimmer figure once the treatment is over. Just like with any other procedures, asking yourself a few questions about CoolSculpting beforehand is also important. Not only will it help you get a better understanding about how the entire treatment process works, it’ll also aid you in determining whether or not the CoolSculpting is the right treatment option for you. So be sure to ask the aforementioned questions to yourself before deciding whether or not you should push through with the said fat-eliminating treatment. Ever wondered whether you can use ionized water for cooking? Well, wonder no more! Ionized water can be safely used for preparing meals on a day-to-day basis. Ionized water is made with the help of water ionizer. This machine has the size like that of a coffee maker and is attached to the tap water source using a pipe. 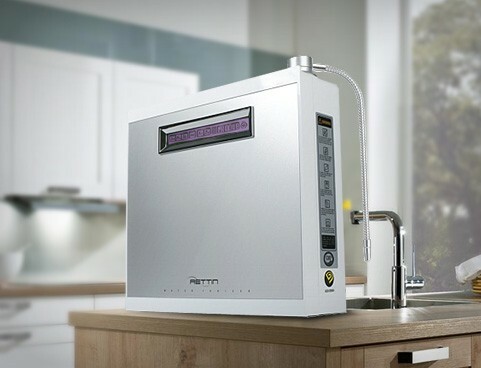 It acts as a water filter where tap water passes through and undergoes the process of electrolysis, separating alkaline ionized water and acidic ionizer water. Therefore, water ionizer can produce two kinds of ionized water and both are useful for preparing meals a home or simply to consume alkaline water in Singapore for better health. Soak tough-textured produce like cauliflower and broccoli in the acidic ionized water of pH 2.5 for three minutes. This softens the texture of the produce and helps kill any microbes in it. 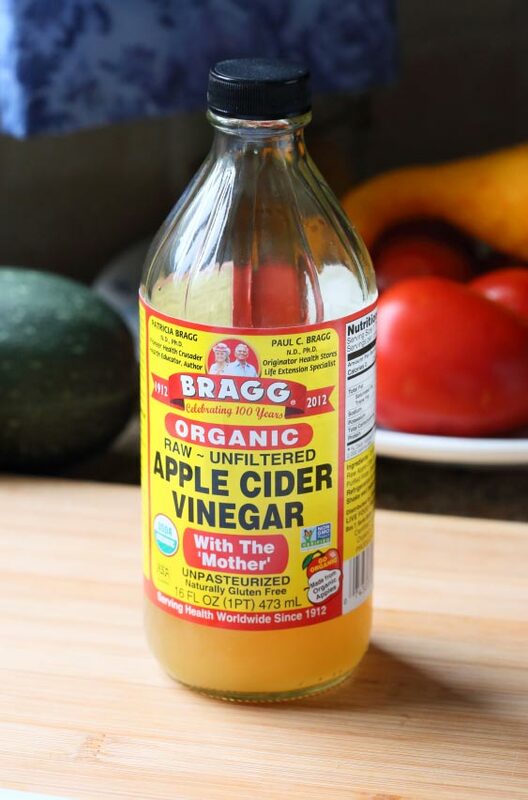 It is a powerful liquid to thoroughly clean the vegetables and fight germs and bacteria that could be lingering in them. After the vegetables are soaked in acidic water, soak them once more in high alkaline water, preferably in pH 11.5 for five minutes. The alkalinity of the water will further clean the produce, remove pesticides and herbicides, and enhance shelf life. The strong alkaline level of the water is a great emulsifier for washing away chemicals found on fruits and vegetables. This is far better than tap water, which cannot completely remove oil-based pesticides. If you wish to make the colours look more vivid, soak bright-coloured produce like strawberries, red cabbages, and eggplants in alkaline water. It doesn’t fade the colour of fruits and veggies, but instead it brings out its vibrancy even more, which is great for produce intended for garnishing. Again, with raw meat, germs could be a problem. Wash your meats and fish with acidic ionized water in pH 2.5 before soaking them in alkaline water with pH 9.0 for 30 minutes. Aside from killing germs ad bacteria, soaking also draws out the remaining blood of the meat and the chemicals used to colour them, as well as neutralizes any strong odours or flavours. Your ionizer’s pH level setting 11.0 is strong enough to emulsify oil and fat. Before cooking your meat, soak them in alkalized water to reduce their fat content and make your pork, beef, or chicken leaner and healthier to eat. If you have cut up fruits and vegetables for future use, spray it with mild acidic water before popping them in the fridge. This helps ensure that the flavours are preserved and that they will last longer without drying out. Sprouts are among the healthiest you can have in your meals. They provide pre-digested amino acids, soluble fibres, protein, higher levels of vitamins B and C, and are low in calories. However, buying organic sprouts may concern you about E.coli and salmonella contamination. For more effective sterilization, wash your bean sprouts with strong acidic ionized water. No matter what drink you choose to make, the flavour is enhanced when you use alkaline water instead of plain tap water. Because of the micro-clustering of ionized water molecules, it’s even possible to brew teas without boiling the water and make inexpensive coffees taste far better. If you enjoy your cold drinks, make your ice cubes with ionized water to enhance the flavour of your beverage. Shellfish cleaning and storage can be quite challenging, especially when dealing with live creatures like mussels and clams. To ensure its freshness, wash them in pH 9.5 alkalized water with ½ cup of organic cornmeal. As they consume the cornmeal, the water enters the shell and dispels the sand, dirt, and excess salt inside the clams. Boil it in alkaline water to cook in the right consistency without sticking them together like mild acidic water does. For fried chicken, shrimp, or any fried food that needs batter, make the batter with alkaline water in pH 8.0 to 8.5 to enhance the flavour of the meat. The batter turns out nice and crispy even if the food sits at the serving plate for a longer time. Hard boiled eggs can be hard to shell. But if you boil them in acidic ionized water, the shell comes off easily. When cooking soft boiled, if the shell cracks, the yolk remains intact. Any kind of smoothy you want to make, the flavour is definitely enhanced by using alkalized drinking water. Make sure to wash your fresh produce in both acidic and alkaline water to help release its flavour before the blending begins. If you’re on for a healthier diet, you probably boil or steam your vegetables more often. For a much healthier veggie dish, boil your produce in alkaline water. It is a healthier alternative to tap water and helps enhance the flavour of the vegetables. The best way to extract the flavour of the vegetables, fish, meat, or poultry in your soup is to let the ingredients sit in cold pH 9.5 ionized water for 20 to 30 minutes before cooking. With all these, no wonder why water ionizers are a great hit in Singapore household. Not only will you and your family be able to use it for filtering potable water, you can also use it to prepare all your food and reap the health benefits of both alkaline and acidic ionized water. Our plates look practically naked without this meal staple. However, if you want to lose weight and amp-up your well-being, contemplate on incorporating rice substitutes to your diet. Fortunately, there are quite a lot of alternatives to white rice. Take your pick from this list whenever your craving for white rice kicks in. It only contains 150 calories a cup when stir-fried in olive oil. But when steamed without oil, it’s down to just 50 calories a cup. Plus, there are so many recipes online. You can chop it finely until it reaches the same consistency of rice grains. Bake or boil it without salt and with the skin on to get as low as 180 calories a cup. 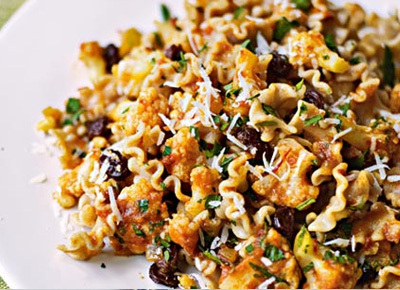 It tops the diet list of Paleo-friendly carbohydrates because of its richness in antioxidants, vitamins and minerals. 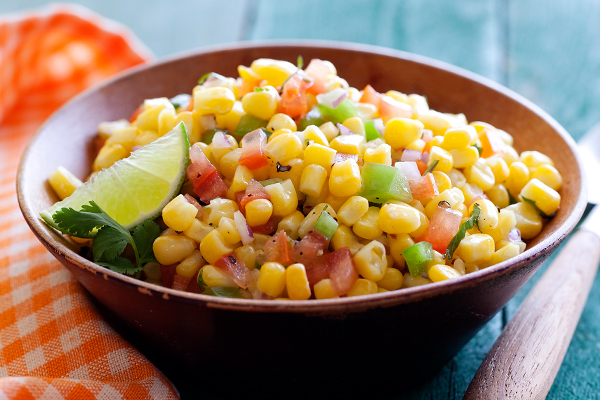 A cup of sweet corn only has 124 calories. It also contains lower glycemic index, which is especially good for diabetics, and contains almost half the carbohydrate content of white rice. Plus, it has more fiber, protein, antioxidants and minerals, making it the most ideal alternative to rice in this list. This contains 640 calories a cup. But before you gasp at the amount of calorie it gives, note that health buffs consume only a quarter to a third of a cup of this grain. It’s considered healthier than white rice because of the amount of protein, fibre, potassium and other minerals it contains. Containing 222 calories a cup, quinoa has become the most popular alternative to traditional grain. To further stave off the amount of calories, mix only half a cup of quinoa with your choice of veggies. 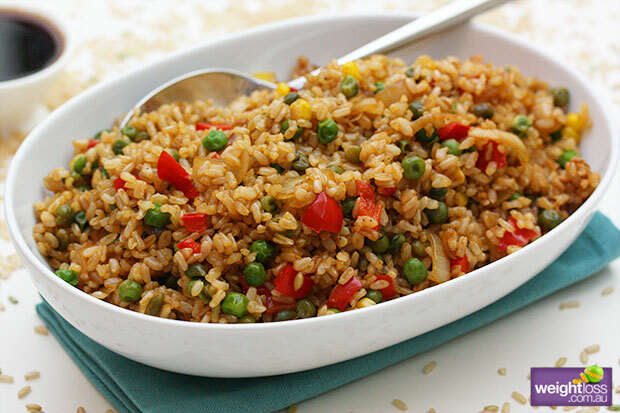 Although the carb content of this one is almost the same with white rice, its fibre and protein content is much higher, which makes this rice alternative a staple for vegans. This legume is a smart option for a rice alternative, as it only contains 230 calories per cup and offer more health benefits. Lentils have insoluble fibre that prevents digestive problems such as constipation and helps stabilize blood sugar level. Though it’s a type of rice, it’s not the processed and refined one that you’re trying to avoid, and it’s only 200 calories per cup. What’s good about unprocessed rice is that the fibre content remains intact and it still contains germ, endosperm and bran, which are all essential in slowing down the impact of carbohydrates in your blood sugar level. 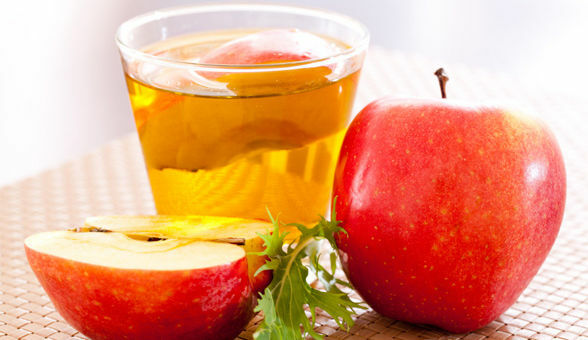 So if you’re after a healthier diet, switch to these alternatives instead. They don’t only help with your weight management, but also protect your sugar levels and heart health, too. A leg ulcer is a fairly common type of injury that results from a variety of conditions that disrupt the blood supply in our lower extremities. These conditions include hypertension, rheumatoid arthritis, alcoholism, renal disease, and most commonly diabetes. For people with a leg ulcer, finding a reliable health care clinic for its cure can be very tough. For one, there are a number of facilities claiming that they provide the most effective leg ulcer treatment. It’s understandable that you want to address your condition fast. Still, remember that selecting hastily with regards to clinical procedures can have no good effect. With the centers out there, how then would you know which one to select? Regardless if the wound is because of diabetes, pressure ulcer, or a non-healing surgical wound, you will benefit from this information. In this post, you’ll be taught of the different considerations you have to check out when seeking a leg ulcer clinic. Let’s start. Make sure that the clinic will carry out a comprehensive test before the treatment itself. A primary examination is crucial in any medical treatment. That is when the medical history of the patient will be established. The doctors will learn if the patient has allergies to certain medicines or even external cream ingredients. In this step also, a number of assessments will be conducted to confirm if there are underlying conditions which may have caused the slowed healing of the injury. Hence, a thorough preliminary test would make the procedure safe, efficient, and will avoid any untoward occurrences from happening. Never visit a wound medical facility which would quickly provide your leg ulcer treatment dressings without even bothering to check your medical history. Either the personnel there are inexperienced or they really do not value the welfare of the patients. Check into their lineup of doctors. Obviously, you would want to entrust your safety to individuals who know what they are performing. Be sure that the leg ulcer treatment facility has professional employees who would look after you. It is advised that they have an in-house professional surgeon, senior tissue viability nurse, and a group of specialist nursing team. If you manage to locate a clinic similar to this, you can assure you are in good hands. 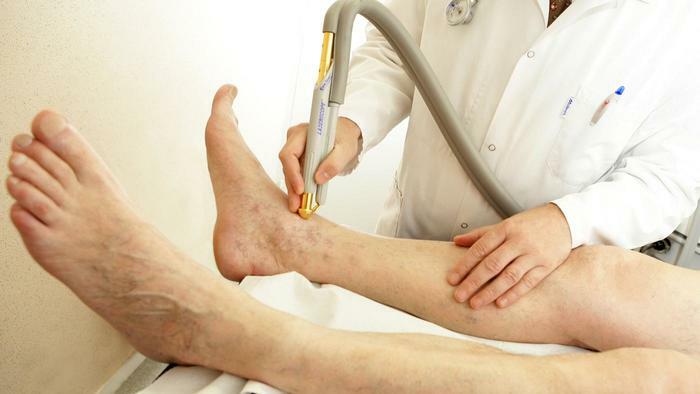 Select a leg ulcer clinic with a wide range of treatment services offered. It is critical that after looking into their number of skilled doctors, also you check out the services the facility is providing. It is to assure that you would not have to jump from one clinic to another one when you are aware that the procedure you would require isn’t provided in the first one. There are clinics that can conduct easy treatments like wound leg ulcer treatment dressings, bandaging, and injury debridement, even so, they could also cater to more complex operations like Topical Negative Pressure Therapy, Larval therapy, and Accelheal. If you could find a center like that, then you could be certain they could provide any procedure you may require. These are just three of the fundamental aspects you need to look into when searching for a leg ulcer treatment clinic. Always research on the facility first prior to acquiring their services. Above all, ask for your doctor’s advice always. When shopping for home appliances, a water ionizer may not be a priority—or may not be included in your list at all. However, it should be! An alkaline water ionizer works by cleaning regular tap water and filtering it to become a healthier form of drinkable fluid. By increasing the water pH level, it offers a plethora of benefits for you, for your family, and your home. Here’s a few of the many benefits of this home appliance. Unlike regular water filter systems, water ionizers go a step further than just filtering. The water that goes into the machine undergoes a sophisticated electrolysis process to separate its negative and positive ions, increasing its pH level. One of the effects when the water becomes more alkaline is that it tastes better than tap water. With this machine, you won’t have to tolerate the weird taste of baking soda and lemon water to neutralize your body’s acidity level. The machine filters tap water in order to free it from chlorine and give you a clean drinking water. If you can drink alkaline water for life in Singapore, this ensures that you and your family are not exposed to harmful impurities, chemicals, and bad bacteria that can potentially cause serious health problems. 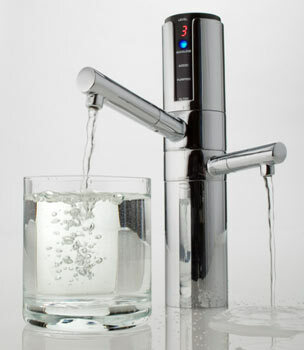 By getting yourself an alkaline water ionizer, you can be sure that your water is safe to drink. After undergoing electrolysis process, water molecules are divided into smaller sizes, enabling better and faster penetration to cellular membranes. This means ionized water is absorbed more easily into the body and provides better and more efficient hydration than tap water. 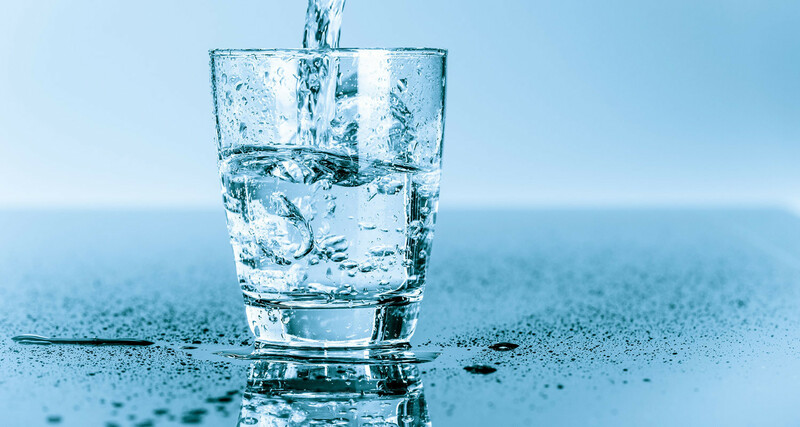 Proper hydration is extremely important for the health, energy level, and overall well-being, making water ionizer a must-have appliance to have at home. 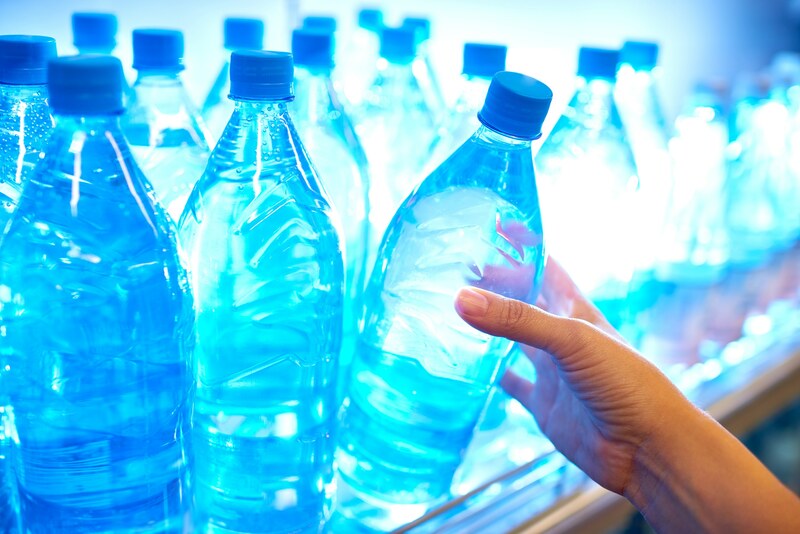 Alkalized water is also known to contain anti-cancer properties. Water with higher pH level helps reduce the effects of cancer and other chronic diseases. According to researches, medical experts in Singapore also believed that ionized water helps delay progress of tumours by preventing growth of blood vessels that feed the tumours. Alkaline water is also great for ensuring blood circulation. Water with higher pH levels reduces oxidization, since it contains negative ORP (oxidation reduction potential). With high amount of negative ORP, the water is able to slow down potential damage caused by free radicals in the bloodstream. It is a known fact that water is nutrient, but alkaline water is a much more potent nutrient. As proven by many health experts in Singapore, cells in the body that luck oxygen runs the risk of turning into cancerous cells. As mentioned, alkalized water delivers nutrients throughout the body more efficiently than any bottled or tap water, providing you with more energy for day-to-day activities. Using a water ionizer to alkalize your drinking water is also beneficial for the skin. Because the water becomes less acidic, plus its hydrating properties, drinking ionized water everyday ensures that your skin is well-hydrated and cleansed from impurities. With all the pollutants we get in contact with on a daily basis, the water ionizer can be your quick and easy solution for a clearer and healthier looking skin. Aside from ensuring proper skin hydration, alkalized water contains antioxidants that help delay premature aging of cells. 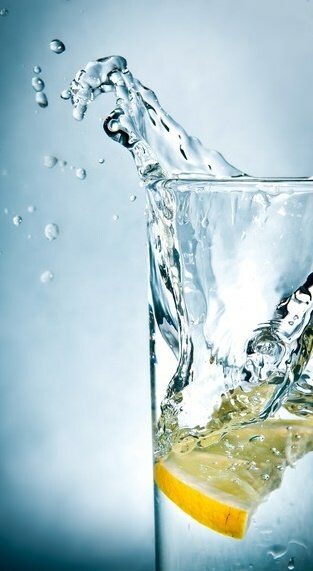 Because of the high level of oxygen in the water, drinking it prevents cell damage that causes signs of aging. On a daily basis, we accumulate more toxic in our system. Easily detoxify your body at home by making your own alkaline water. The water removes toxins accumulated from the environment, unnatural foods, prescription medicines, and the ‘normal’ aging process. Acid wastes stock in the body for too long can lead to more serious health complications. By using a water ionizer at home, you can neutralize the acidity of your body and wash away acidic waste products from tissues and cells. Alkaline water ionizers are not only for alkalizing water, but turning tap water into acidic ionized water as well. Acidic water from water ionizer is a chemical-free product you can use to clean surfaces at home. As a result, your home becomes cleaner in a way that’s safe for the entire family, especially the kids. Unlike commercial household products, you don’t have to worry about your children getting hold of your cleaning solutions. Since this is a safe cleaning solution, you can disinfect glass and plastic baby products, such as pacifiers, baby bottles, and teething toys, with acidic ionized water. 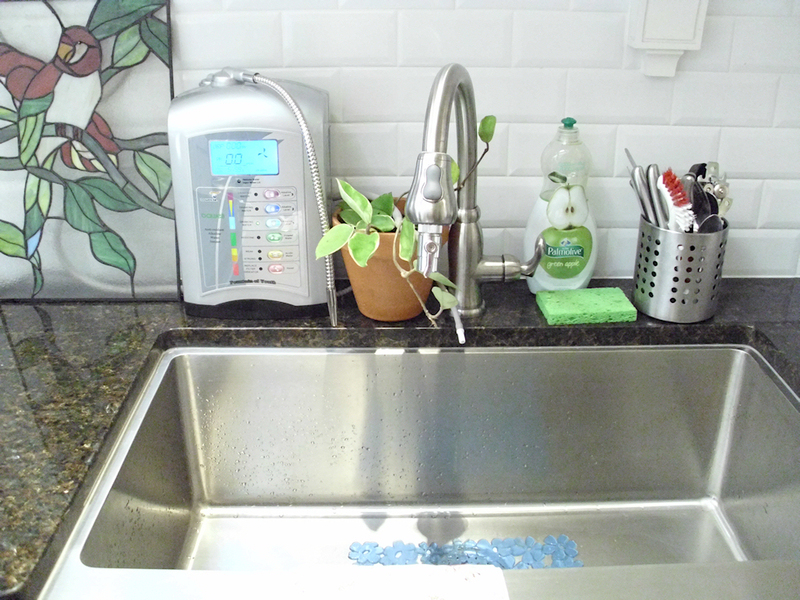 Take the items you want to disinfect and soak them for an hour in a bowl of ionized water. Once done, place them in a clean cloth to dry. Acidic ionized water does not only clean surfaces, but clothes and other household items as well. From baby clothes and denims to tablecloths and thick bed sheets, ionized water can remove stubborn stains from almost any kind of fabric. Simply place the items you need to wash in a tub of ionized water with detergent and let them soak for an hour (or more for thicker items). Not only it does remove stains, but also disinfects them without the harsh effects of bleach. With all these, it’s easy to see why water ionizers are becoming a must-have household appliance in Singapore. These machines offer countless of advantages that benefit almost every aspect of our lives. They say that you are what you eat. That is true. It does not end there because scientists also thought that what you eat will change or reflect your mood. There is a link between the food and your mood. For instance, there are many researches on the effects of alcohol and caffeine in relation to one’s mind. It is said that caffeine and alcohol can help you sleep better and it can calm you even comfort in times of pain. When you are in a foul mood, you do things or say words that you will regret later. Instead of making rash decisions, it is always recommended to brisk walk or meditate. Channelling the energy to other things can help you deal with whatever you are dealing. If you are the type that binge eats during foul mood, you have to know that there are certain foods that can help your mood. When you are down: There are those days that you feel down. Instinctively you reach for chocolate but there are many healthier options. Like considering an English muffin with blueberry jam. This snack has high-carbohydrate content that it can flood the brain with serotonin – the happy chemical. You can also consider whole wheat bread with honey. When you are irritable: When you notice that you are wearing that bear claw again, you have to calm down first and eat. When this happens, you have to instantly cut back on your caffeine intake. Caffeine is a stimulant but if you are already depressed, it can lead to prickliness. Also lessen sugar intake. 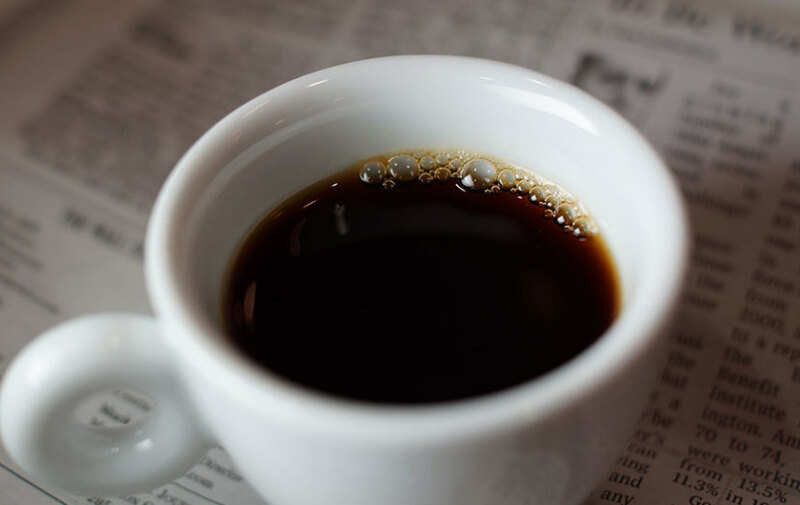 For foods that can help your mood, try artificial sweeteners and if you cannot help but drink coffee, make sure that it is black. When you are sleepy: Lack of sleep is not good because it can make you intolerant and irritable in the morning. 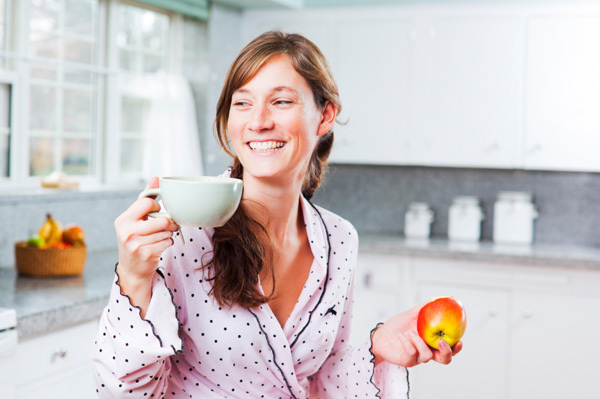 When you are sleepy, do not drink caffeine, tea and other beverages as they contain caffeine. Also avoid energy drinks and vitamin waters as well as yogurts and chocolates. You have to consider water, carob or decafs. Do not forget about alcohol. Alcohol can stop you from sleeping well. You might feel horrible for four days after withdrawal but you have to deal with it if you want to sleep better. A little reminder too, do not eat big meals especially at night because it will keep the tummy busy during the night which can lead to restlessness. For dinner, do not forget to eat high-carb and low-protein meals to sleep better. Other snacks include potato, banana and avocado. When you are depressed: There will come a time that you will get depressed. When this time comes, you have to eat more fish. Study showed that fishes like salmon, sardines and tuna are rich in omega-3 fatty acids. Omega-3 fatty can give comfort during depression. There are people who are concerned of the mercury content of some fatty fishes. To be sure, choose Pacific salmon, summer flounder, croaker, haddock and farmed catfish. When you are exhausted: If you are too exhausted that is beyond normal, you have to go and see your doctor because it might be a symptom of something serious. If you have iron deficiency or anaemia, there is no surprise that you experience fatigue. The reason for this is not getting enough iron. Beans, vegetables and grains are good but they do not provide enough iron for you to keep going. 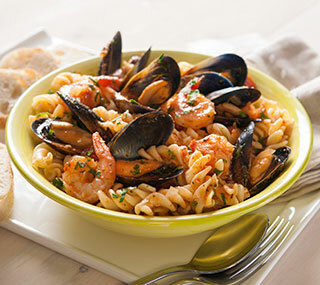 The best things to consider include seafood, meat and poultry. If despite eating meat you still feel exhausted, you have to add vitamin C to your diet. Try citrus fruits. There you go. 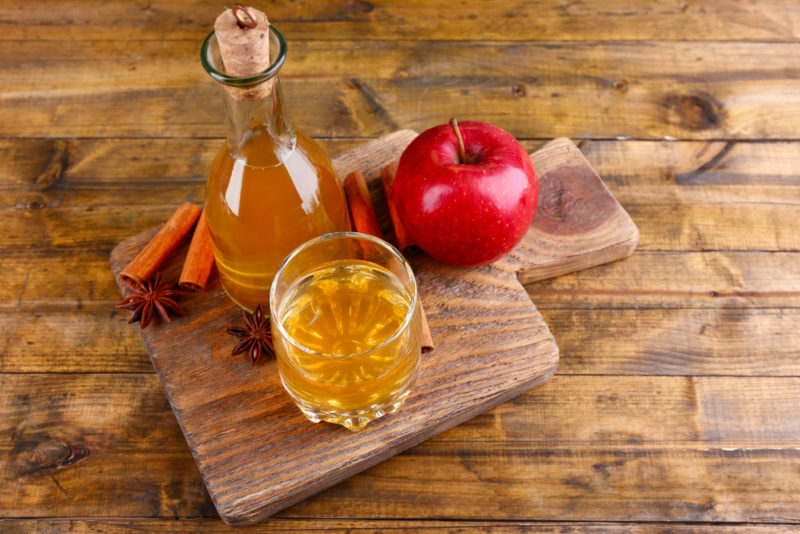 These foods can help a lot if only you give it a chance. For more advices, look for doctors. There are plenty of doctors here in Singapore that are willing to help you.